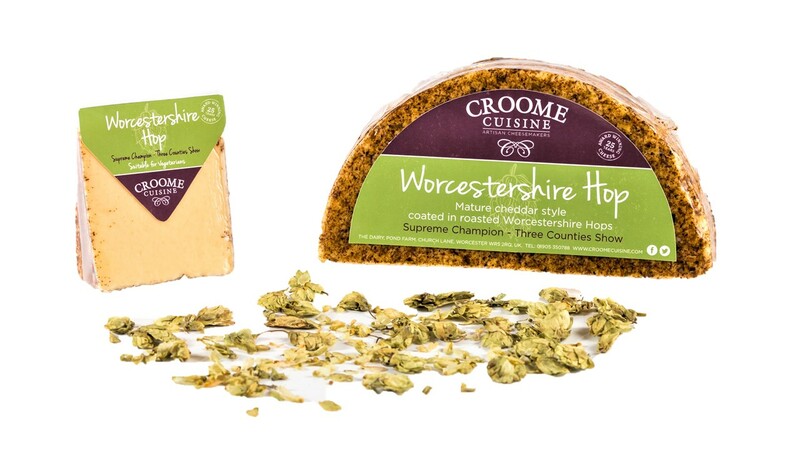 Worcestershire Hop is our beautiful mature cheddar rolled in hops, we source directly from Hop yards located in Worcestershire. The truckles are then rolled in freshly baked and crushed hops which gives this multi-award winning cheese its unique flavour. This ‘best seller’ is a perfect ‘all-round’ cheese. 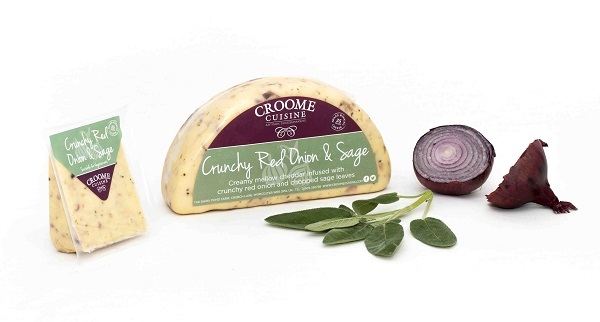 Our stunning rich, creamy and crunchy mature cheddar. A very diverse cheese which is great as an accompaniment or on its own. 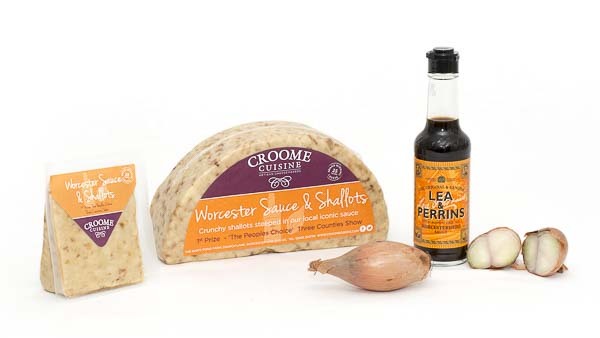 Worcestershire Sauce and Shallot is a real favourite, a consistent best seller at shows and events … the shallots are steeped in Worcestershire’s local iconic sauce then carefully blended to create this mouth-watering crunchy and tangy flavour. Please note, Worcestershire Sauce and Shallot is not suitable for vegetarians or Gluten Allergen sufferers. 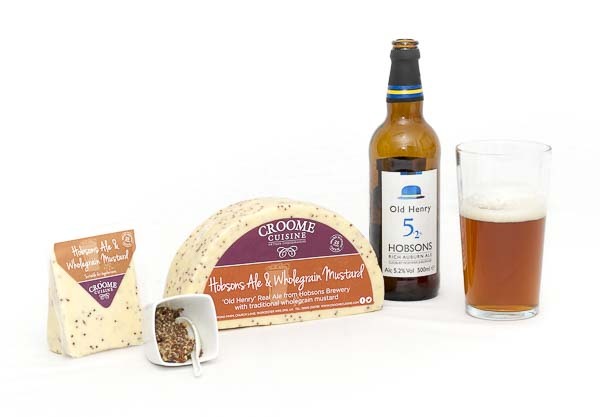 Our mature cheddar with Real Ale sourced and delivered from the Hobsons Brewery with traditional crunchy wholegrain mustard crafted to make this wonderful crunchy and boozy combination. Please note, Hobsons Ale and Wholegrain Mustard is not suitable for Gluten allergen sufferers. 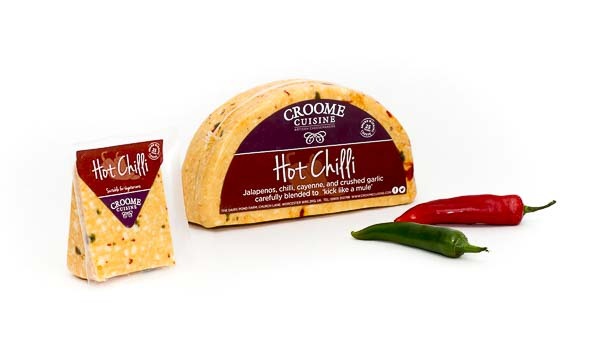 Our spiciest cheddar cheese containing jalapeño, chilli, and cayenne peppers with crushed garlic carefully constructed to ‘kick like a mule’! 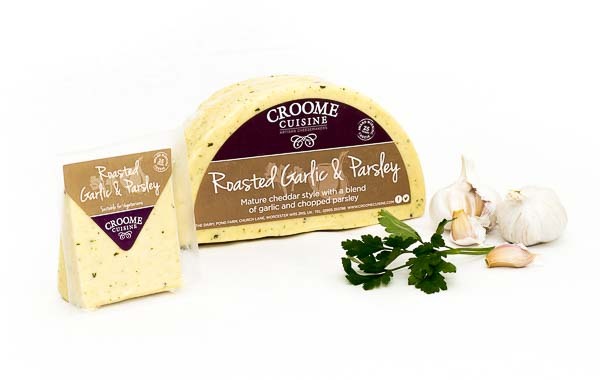 Roasted garlic and parsley is our mature cheddar blended with roasted garlic and chopped parsley, this smooth and tasty cheese is a very popular choice all year round. 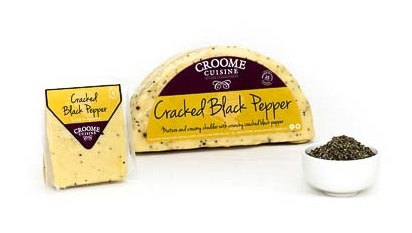 Our delicious Worcestershire Gold blended with crunchy black peppercorns … beware of the peppery after kick! 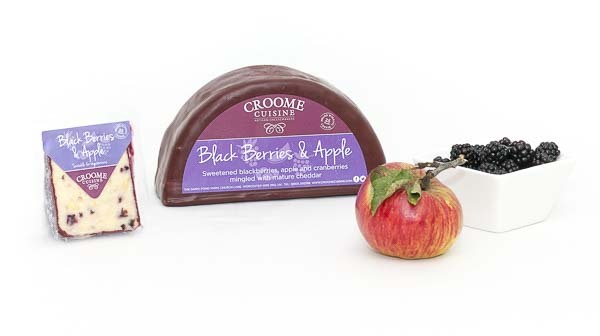 A delicious combination of sweet Blackberries, Cranberries and Apple mingled into our mature, mellow cheddar. Our bestselling sweet cheese is a stunning addition to any cheeseboard, not only tasting sensational but with its deep burgundy wax, looks great too. 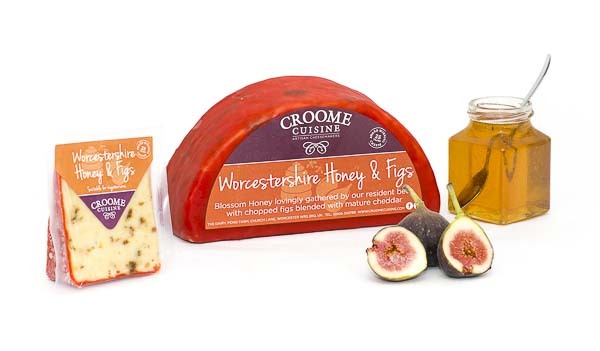 Worcestershire Honey, lovingly gathered by our resident bees and chopped figs create this amazingly moreish cheese. We add the whole fig to the cheese so you experience a sweet and crunchy sensation, any mouth will adore! 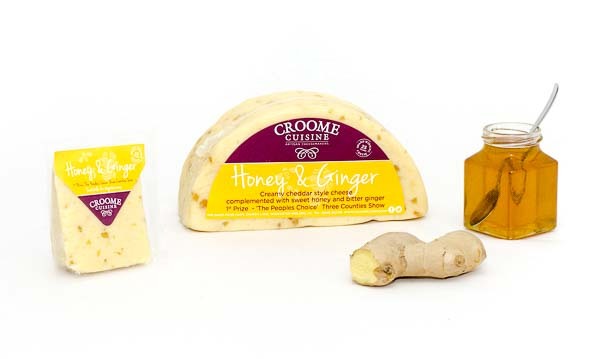 Chopped crystallised ginger and our Worcestershire Honey make this a wonderful combination which won ‘People’s Choice’ at the Royal Three Counties Cheese and Dairy Produce Competition in 2014. 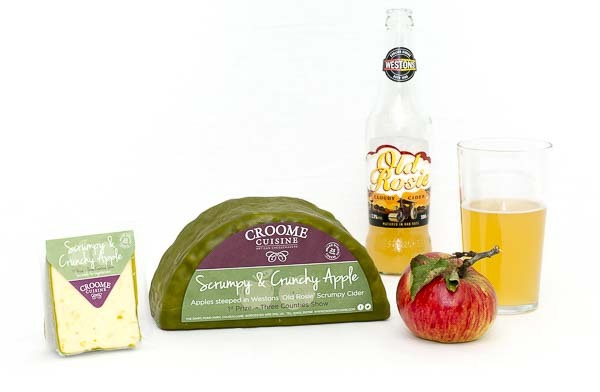 A deliciously sweet yet crisp taste, as we steep the apples in Westons Old Rosie Cider overnight then infuse into our mature, mellow cheese. 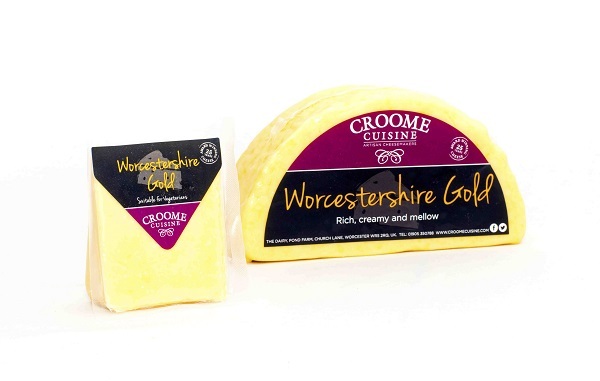 This all round winner has won a number of awards including ‘Cows milk cheese with sweet additive’ at Royal Three Counties Cheese and Dairy Produce competition in 2012, 2014 and 2015! Please note, Scrumpy and Crunchy Apple contains Sulphites. 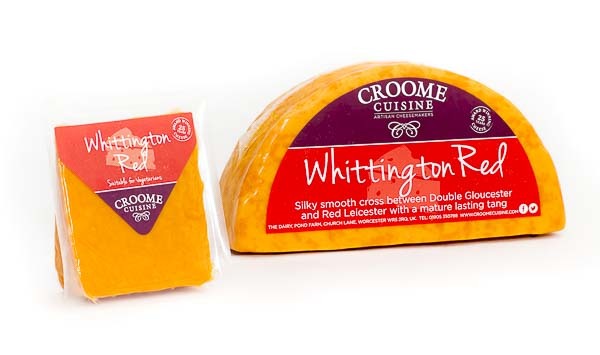 A silky smooth cross between a double Gloucester and Red Leicester with a mature lasting tang. 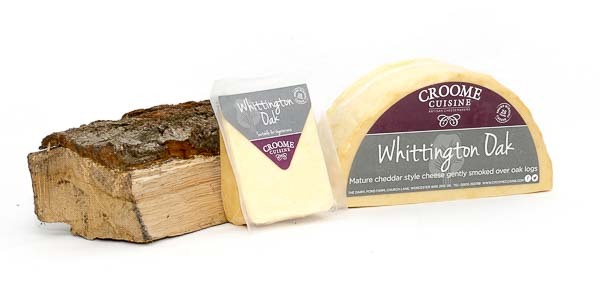 Silky smooth Whittington Red cheese with added chopped chives and lashings of horseradish. Please note, Horseradish and Chives contains Egg and Mustard. 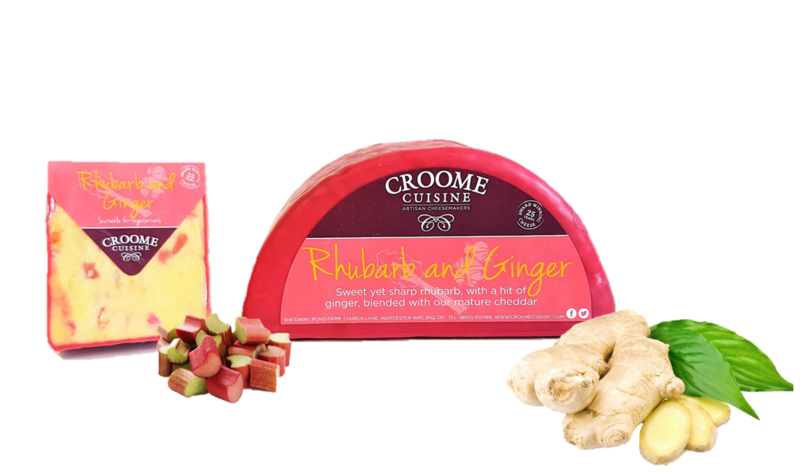 Freshly harvested rhubarb, steamed then combined with our mature cheddar cheese and crystallised ginger, to create a sweet, fresh, vibrant burst of flavour and colour for our spring seasonal cheese. Available between 1st April – 30th June. 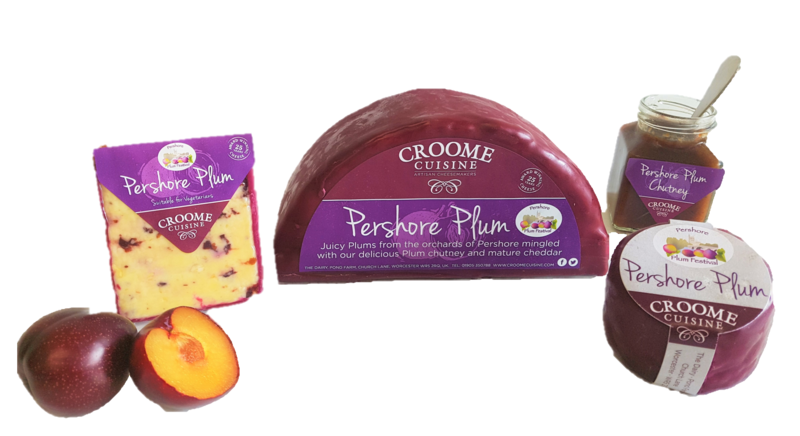 Plums picked from the orchards of Pershore, Worcestershire and blended with our mature cheddar and very own handmade plum chutney. This rich yet fruity summer seasonal is produced in conjunction with the ever popular Pershore Plum Festival. You can buy this fantastically delicious cheese in 170g wedges, 200g waxed truckles and 1.4kg … a complete sell out every year!!! Available between 1st August – 30th September. Yes … Christmas Cake cheese, our stunning seasonal beauty, only available between 1st Nov – 31st Dec! 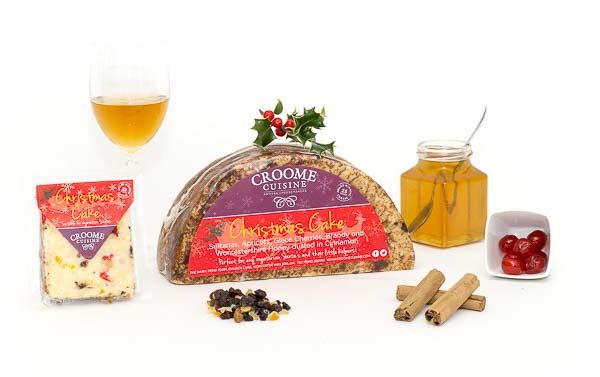 Our wonderful Christmas Cake Cheese contains Sultanas, Raisins, Peel, Currants, Glace Cherries, Worcestershire Honey and a tipple of brandy all combined in our mature cheddar with a light cinnamon dust … all the fruity bits you enjoy in a Christmas Cake and more! 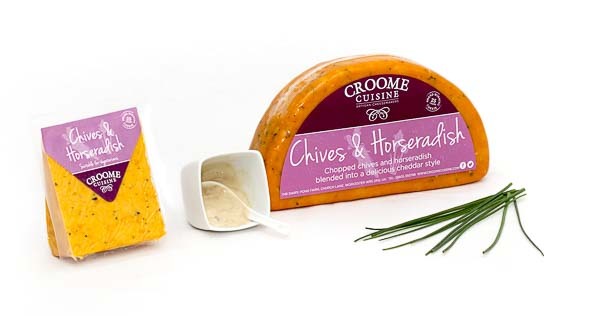 An absolute must have on any festive cheese board, suitable for all vegetarian Santas and their little helpers!!! Please note, Christmas Cake Cheese contains Sulphites. Please note, all of our cheeses contain Cow’s Milk. (V) is suitable for vegetarians.